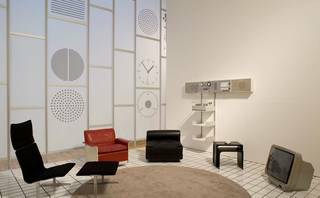 Join Peter Kapos, director, Das Programm and Dietrich Lubs, Industrial Designer, Braun in conversation with Johanna Agermann Ross, Curator of Twentieth Century and Contemporary Furniture and Product Design at the Victoria and Albert Museum. Peter Kapos is a writer, curator, dealer of industrial design and the creative director of Systems Studio. Dietrich Lubs has designed for Braun and is responsible for the AB1 alarm clock (1987) and the Control ET 55 calculator, which was included in the design collection of the Museum of Modern Art. Under his direction Braun is relaunching the original AW10 watch, a collaboration between Lubs and Dieter Rams. Kapos and Lubs will be in conversation with Johanna Agermann Ross, Curator of Twentieth Century and Contemporary Furniture and Product Design at the V&A.